asylum | Claire Needham Photography. Melbourne & Tasmania. Claire Needham Photography. Melbourne & Tasmania. In relation to my photographic series “If Walls Could Talk…” and “For the Fallen; in Memoria”, which document the Royal Derwent Hospital & Willow Court Complex, here is a 10min clip from ABC’s 7:30 report. 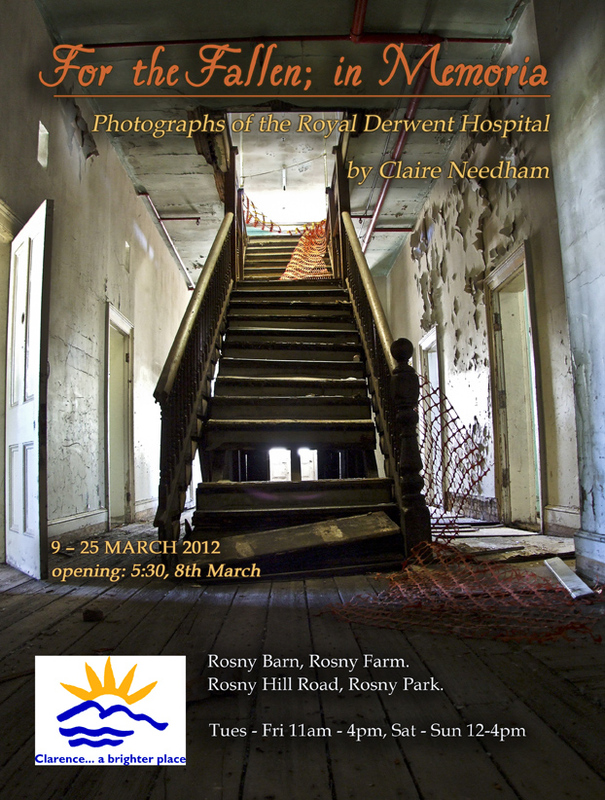 Photographic Exhibition: Royal Derwent & Willow Court. Where: Rosny Barn, Rosney Farm, Ronsy Hill Rd, Rosny. This photographic collection of images, taken at the site of the abandoned Willow Court & the Royal Derwent Complex in New Norfolk, is an expansion of my previous exhibition ‘If Walls Could Talk…’ (Entrepot, 2007). Since the sites closure in 2001, the buildings have been vandalised, broken and burnt regularly; subsequently many of the buildings are now demolished. The images in ‘For the Fallen; in memoria’, have captured the passage of time and the wear of years of this immensely significant, yet ignored complex. Once a bustling hub of activity, the RDH is now in varying grades of dilapidation, degradation but little restoration; the very brickwork has become transient and ephemeral.